GIVEAWAY | Satisfy Your Seafood Cravings From The Fish District! - EAT WITH HOP! 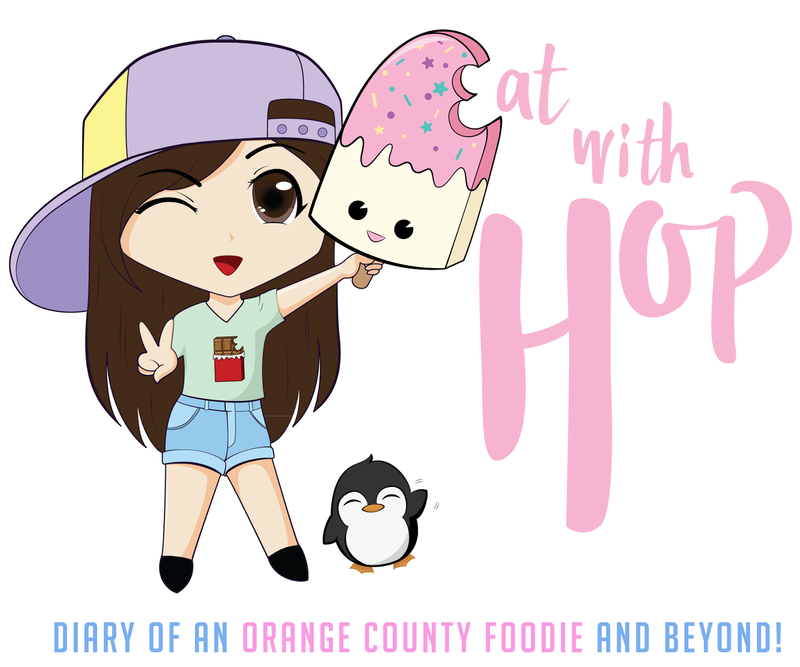 Home / CA / GIVEAWAY / IRVINE / ORANGE COUNTY / SEAFOOD / GIVEAWAY | Satisfy Your Seafood Cravings From The Fish District! Seafood lovers, have you heard of Fish District? This fast-casual seafood restaurant has made it's way from the San Diego area to the South Orange County area! And that's something to celebrate about because this place is pretty darn delicious! I was first introduced to this spot by my Taste Bud, Cindy (@mishxcindy)! She was raving about how she used to go here all the time in San Diego and is happy that they opened in Irvine! So, coming from a foodie, I just had to check it out! They have a variety of items on their menu including wraps / burritos, tacos, soups, sandwiches and even a grilled cheese melt. YUMM! We got the medium size! It comes with this amazing avocacdo sauce that is TO DIE FOR! I ended up using the sauce for everything else because it was so light yet creamy and refreshing! GET EXTRA SAUCES! SOOOOOOO GOOD! too picture perfect! Gotta do it for the gram! Battered Fish Taco, Battered Shrimp Taco and Marinated Skirt Steak Taco! The Fish District is a fast casual seafood restaurant that strives to provide quality seafood, fresh catch of the day, always with a smile and memorable customer service! Originally opened in the San Diego County area, this family owned restaurant has moved north to Aliso Viejo and recently Irvine! I remember the staff here are always helpful and really nice. And don't mind all the questions I investigatively ask. I also like how even though it's more of a fast-casual restaurant that they still bring you the food to your table! It's a restaurant located in the Woodbury Town Center and although the atmosphere calls for a casual outing, the menu will make you feel like you're at a fancy / hipster seafood restaurant after scanning the various items such as seafood sandwich melts, kale salads, tacos and even crispy rice. The addition of their all-natural soda fountain machine also adds that extra nice hipster touch, which I personally love because natural cane sugar? Yes! That's the best! Coastal style consists of cabbage 'slaw, mango salsa, cilantro, serrano pepper, onion, creme. Kevin and I decided on this style for our Salmon Wrap because we were sold already at the mango salsa! MANGOS ARE LIFE! Unfortunately, while the burrito / wrap itself had a lot of potential to be really good and memorable, because too much red cabbage 'slaw was added that every bite tasted like just cabbage. The salmon was definitely overpowered by the cabbage and I don't even know if I really tasted any mango at all. So if you get this, I recommend specifically requesting for less cabbage to be added, because daaaaaaang! They add way too much cabbage! This was bomb! I love how crispy the rice is and how it is slightly sweet from the sauce. There are thick cut cubes of fish placed on top and this overall is a great appetizer. I think I could just eat this only and be satisfied though! The inside of the rice is just plain though so don't expect it to be marinated or anything. But because it's plain, it balances the flavor of the fish well and all the sauces. I almost ordered the chowder soup but thought that's too boring. Lemongrass Shrimp soup sounds so unique! So Kevin and I ordered that in stead! We mistakenly thought that ordering it in a "bowl" size meant that it would actually be in a bread bowl or something fancy like that. But nope, it's in a plastic cup/bowl and is basically the medium size. My bad! Any-who, the soup isn't too thick or anything. It is actually sorta creamy and the lemongrass flavor is light. You get 3 tacos filled with Ahi Tuna! I love the crispiness of the taco shell, which is a bit puffy like won tons. I would recommend these! If you loooooooove mushrooms... then this is a MUST GET! Don't get fries, get shrooms! These mushrooms are huge and you get around 10 mushrooms "sticks" and an addicting avocado based sauce. THE SAUCE IS SO GOOD that I just wanted to dip everything with it! ASK FOR EXTRA SAUCE BECAUSE YOU WILL LOVE IT TOO! Yummmmm! Who doesn't love melts!? Because.... seafood and cheese just go too well together. I think this sandwich has a lot of potential since it is quite meaty with a good amount of shrimp and scallop. However, the flavor itself was a bit lackluster. I don't know what it was... but the overall taste of the sandwich was a bit bland that I needed to add salt or something. I think what would make this sandwich better would to grill the outside of the bread with cheese / garlic too and that would be next level. So I wouldn't exactly recommend this because I think it could be better. This is basically a cup of just poke with nacho chips! We got the salmon version and I like how the fish are cut in thick cubes and the chips itself are very crispy! Each taco is $3 - $4 here and even though that sound expensive at first, its because the tacos are huge. The Poke Tacos mentioned earlier are like a normal - sized version like the palm of your hand. But these tacos are like your entire hand! They are bigger and we felt satisfied and full from it! The marinated Skirt Steak Taco was the winner here because Kevin and I both enjoyed it the best since it was flavorful with tender and soft meat! I like how the battered shrimp and taco isn't greasy or oily. The only difference in flavor here is the style: Traditional vs. Coastal. Coastal has mango salsa and red cabbage, cilantro, serrano pepper, onion and crema. Traditional has lettuce, cabbage, tomato and sriracha. I enjoyed the Traditional version more because again, all I tasted from the Coastal version was red cabbage. Yummm! Fresh greens with fresh salmon! I think any of their fish choices are gonna be good but I do have to admit, $13 bucks for just salad with fish is a bit pricey so I would recommend you get something else like a wrap or sandwich instead. We also tried the Chowder Bacon Fries (not pictures) and that was pretty bomb too! The fries are skinny and crispy! Goes well with all the bacon and chowder sauce on top! It wasn't too salty either so I enjoyed it! Woo Hoo! It's time to announce the Monthly Giveaway for August! I am having a special collaboration with The Fish District to give one (1) lucky winner a $20 gift card! 1. (Required) Comment below this post answering this question: What would you want to order from The Fish District !? 2. (Optional) Connect with the Fish District on Social Media! Giveaway contest ends August 31. One (1) winner will be emailed during the first full week of September (check your spam email).